I have just held my first exhibition at the Cynon Valley Museum Aberdare. It featured images from my long term documentary project, A Year In Their Lives, a study of sheep farming in the south Wales Valleys.This told the story of a farming year, capturing key events from three farms in the Cynon Valley. The Exhibition ran from 15th June until July 21st, 2018, (extended from 14th July). On each of the Saturdays that the Exhibition was open, I gave a 'walk through talk', telling the tales behind the images. The Exhibition also featured a selection of my favourite landscape work which provided a contrast to the documentary work on display. The exhibition was a resounding success. (Follow the link to Exhibition Reviews on my Menu page.) Charlotte Morgan, the Manager of the Cynon Valley Museum has described it as the best Exhibition they have had since the Museum was taken over by a Trust three years ago. It brought in visitors from Derbyshire, Devon, Maidenhead as well as across south Wales Valleys. 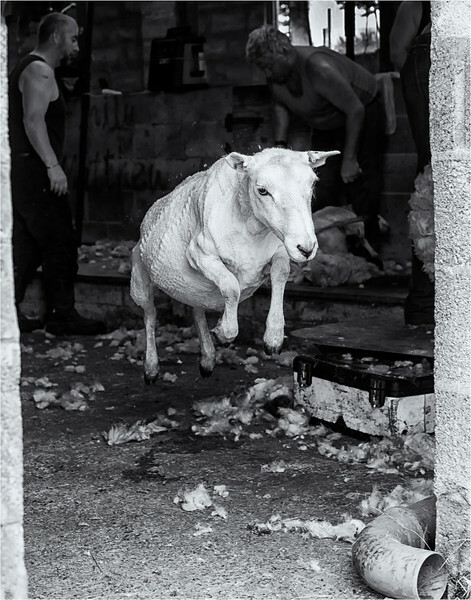 This included many people from the farming community, helped by publicity from the National Sheep Association , Outdoor Photography Magazine and Black and White Photography Magazine, all of which featured pieces about it. I am currently exploring the possibility of this Exhibition travelling. So if you are interested, please don't hesitate to contact me via my Contact Box.